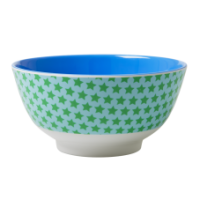 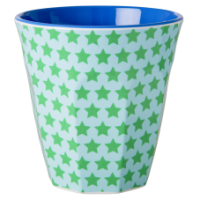 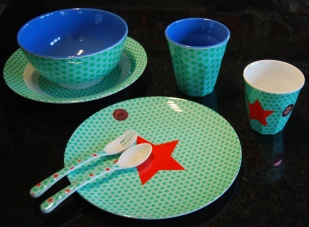 Melamine Blue and Green Star plate by Rice DK. 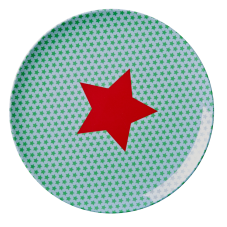 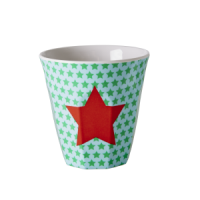 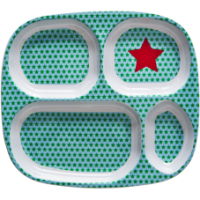 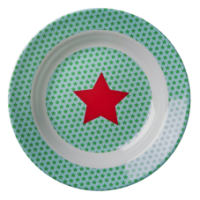 This kids or side, melamine plate comes in green and blue with a red star. 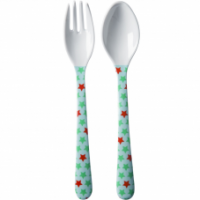 Co-ordinates with a baby cup, cup, bowl, cutlery and a 4 room plate.